Spring is in full swing, which means that Easter is fast approaching. We know that our patients and their families celebrate this holiday in different ways, but one aspect of Easter remains relatively common among everyone: the Easter candy. Not only are candy companies selling their perennial Easter specialties, it seems like every type of candy has a pastel-colored version on shelves this month. At Smiles Dental, we know that it may be unrealistic to ask your children to avoid all Easter candy for the sake of their oral health. Instead, we want to share a few tips to help you allow your kids to enjoy Easter candy in moderation without sacrificing the health of their teeth. Not all candy is created equal when it comes to its effects on your teeth. Sticky candy can be particularly damaging to enamel as it remains in contact with the surface of your teeth for a long time, giving bacteria and acid a chance to feed. Sweet and sour candy also increases your risk for tooth decay as acid and bad bacteria damage your tooth enamel. Last but not least, hard candy can easily crack or chip teeth if your child bites into a piece. 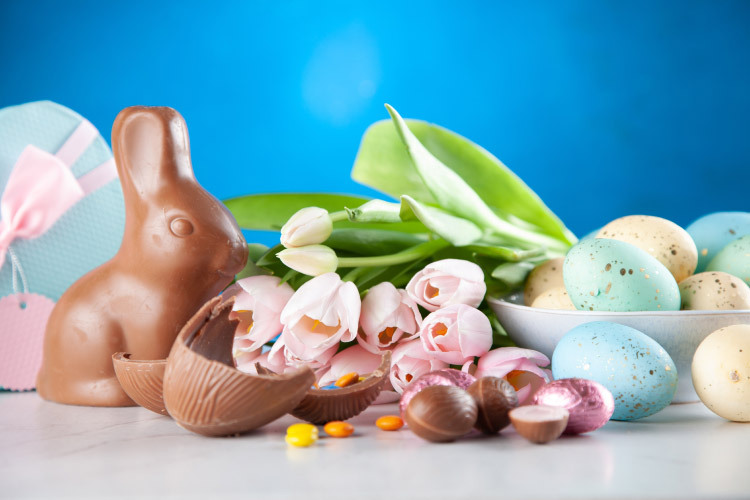 Chocolate lovers rejoice: chocolate, especially dark chocolate, is a better Easter candy option when it comes to maintaining your oral health. Dark chocolate contains less sugar than milk chocolate and therefore attracts lower levels of bad bacteria and acid. Hollow chocolate candy, like the traditional chocolate Easter bunny, are best of all as they can save you some calories! There’s nothing wrong with indulging in a sweet treat or two, so long as you do so in moderation. If you do have a piece of Easter candy, drinking a glass of water afterward can help wash teeth clean before bacteria and acid begin to wear away on your teeth. To ask our team any questions or to schedule your next visit, contact our office today!